Treasure up your valuable moment from Skype by Filmora Scrn. Skype is gaining huge popularity day by day as people prefer to use it for routine conversations with friends or relatives as well as for business needs. In both these cases it becomes essential to record Skype videos for post processing of information. But the sad news is that Skype itself does not possess any video recording facility so users need to search for Skype video recorder to complete their requirements. If you are also using Skype for your business and need to record video most of the time, then this article will provide you best information about best Skype video recorder that can work on Mac and Windows platforms. Pamela is a great Skype video recorder commonly used for recording Skype videos over Windows platform due to its incredible features. With this software program, users can avail features like video recording, sound effects, conference call scheduling, voicemail management as well as blogging etc. It comes in four different editions: basic, call recorder, professional and business; all of these vary in terms of features and pricing. Free of cost call recording is attractive. Automatic recording feature saves your time. Contact customizations meet your specific needs. Birthday notifications let you never miss party with your friends. Costly software; Professional edition can be bought with payment of 24,95€ whereas for business version you need to pay 39,95€. Not compatible with Mac and Linux platform. Free version support maximum call duration of 5 minute/Video and 15 minute/audio. Ecamm is the latest Skype video recorder programs but it serves with stunning recording quality for both videos as well as audios. People love to use ecamm recorder for recording podcasts, lessons and interviews. Ecamm is designed for Mac platforms. It can record video as well as audio with high quality output. It assists users in search of iSight camera over Mac platform and can also help in searching for lost pictures. Maintains better documentation of both audio as well as video Skype calls. All interviews can be recorded for free from any corner of world and audio levels are always well maintained. Calls can be monitored and reviewed later with ease. This software serves users with very simple interface. Content cannot be shared on other platforms. You need to use separate survey tools. It is a little bit difficult to access meeting controls for beginners. As the best Skype video recorder, there is no doubt to say that Filmora scrn can serve for all Skype video requirements of beginners as well as professionals because its recording and editing tools are designaed with user friendly interface. 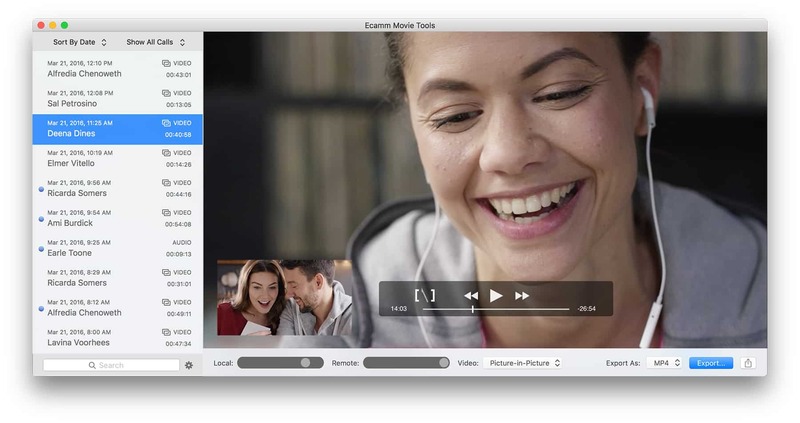 Filmora scrn can work perfectly on Mac as well as on Window platform so it is rated as one of the most useful software for Skype call recording. Filmora scrn can also assist users in easy noise filtration from external audios, instant video editing with trim tool and fast export to other devices or websites. Filmora scrn also extends its support to almost all popular video file formats. Screen Flow is a popular Skype video recorder for Mac platforms that allows users to capture computer audio, customized screen recording and audio from microphone or from multiple channels. 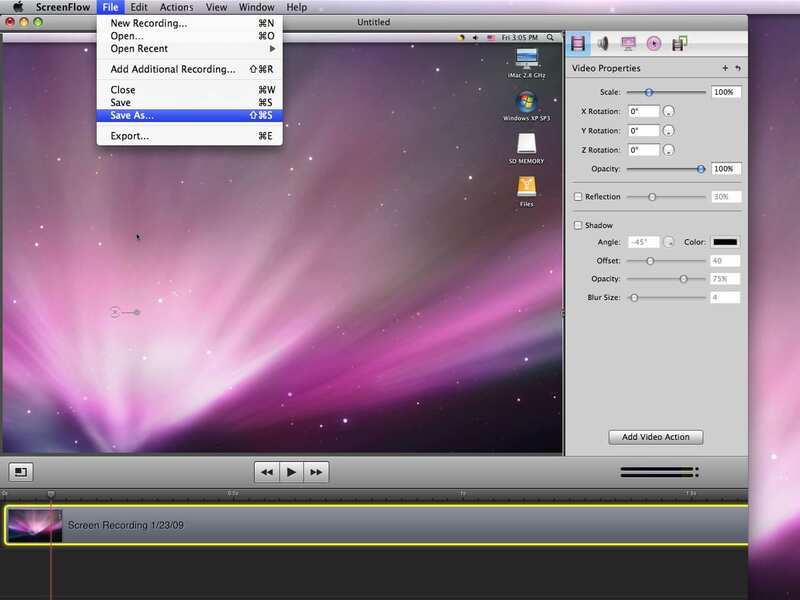 If you need to edit videos after recording then it is also possible with advanced editing tools of Screen Flow. This Skype video call recording software tool can assist users in recording with M4V, MOV, MP4 and GIF file formats. Camtasia allows users to perform fast recording as well as editing with its three step process: simply record, edit and save videos. You can access the trail version for free whereas the software with its full-fledged features is very costly and is suggested for professionals only. 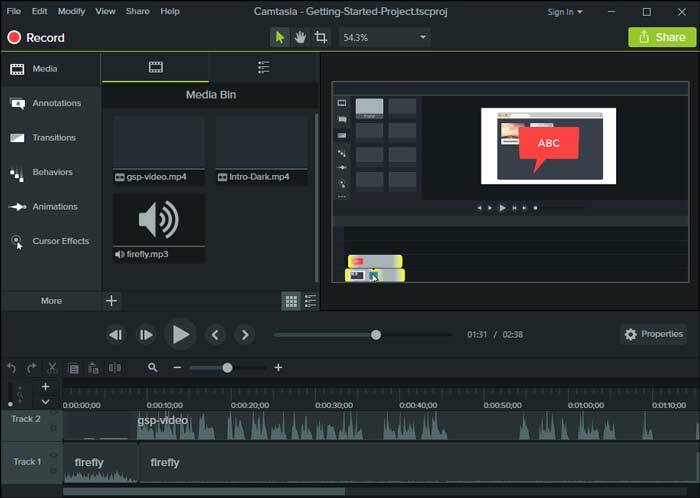 The advanced drag and drop type interface, stunning video editing effects as well as exceptional performance with powerful processors are some of the most amazing features of Camtasia. 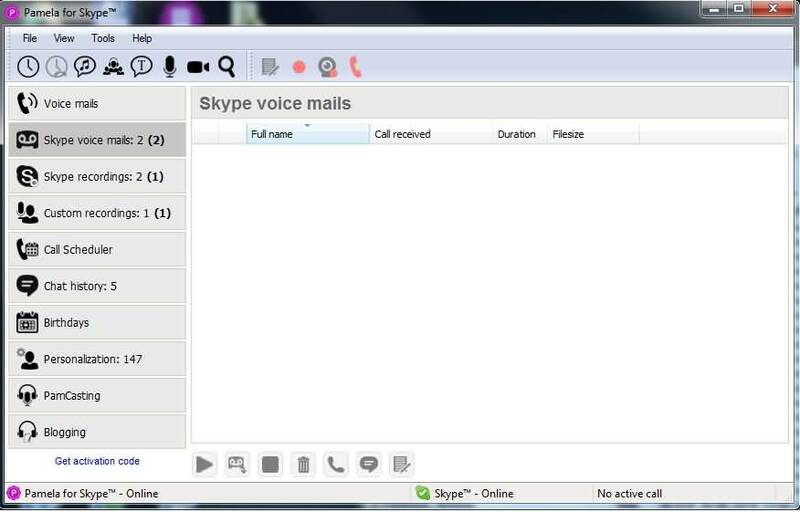 There are so many Skype video recorders that can be used to record video calls on Skype, and users can access paid as well as free versions from Internet. In case it is not essential to upload videos on YouTube, then it is better to use free versions of Skype video recorders. But for professional needs it is always advised to use some high quality tools that serve with improved video resolution and impressive audio quality.